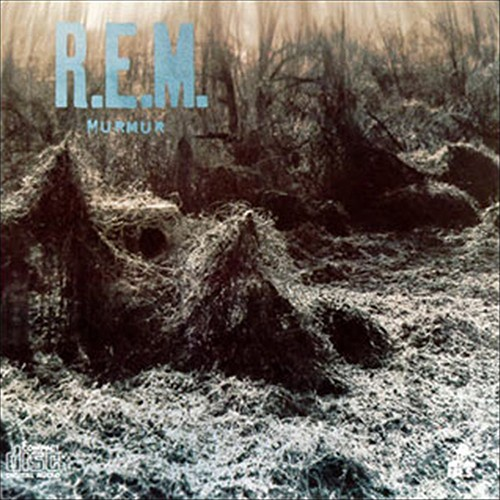 In a way that was not as loud, shocking, or outwardly visible, Murmer, the first album from R.E.M., did to classic rock what Nirvana's Nevermind did to 80's metal. This is the birth of what would become a whole branch of alternative rock. Leading the way was "Radio Free Europe", which had been released as a single two years earlier. Murmer is full of songs and sounds that were unheard of in 1983. Peter Buck's guitar work (no solos allowed) was fresh and new, and Michael Stipe's lyrics were strange and cryptic...when they could be understood. All together, Murmer was a unique album, and although it sold almost nothing, it would go on to become a classic. And for good reason. This is a great album. R.E.M. would have to wait until 1986 to have any kind of mainstream success, but by that time, their sound was starting to take hold. They broke up in 2011, but what they were in the beginning shouldn't be forgotten. Murmer is simply a fantastic album. This is album #135 in an ongoing series. like this to wake up to on a sunday! I can't think of better music to start a day off with, for sure! I know! Imagine my disappointment when I went over there ready to vote and the contest was over. What a letdown!